If you’ve been considering vendor managed inventory, you’ve certainly weighed the benefits: more accurate inventory, less time spent maintaining stock, and more consistent, reliable components. After looking closely, you likely arrived at the conclusion that VMI can help you reduce costs and improve performance. By alleviating the burden of maintaining your inventory by hand, VMI helps you cut labor costs but, more importantly, it allows you to better address your customers’ needs… more efficiently, more accurately, and less expensively. 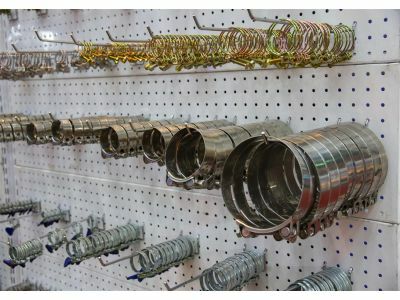 ASF Components has prided itself on offering the industry’s best vendor managed inventory for years. Using a reliable, data-driven approach, we have been able to help countless businesses lower costs and increase profits. In today’s post, we’re going to look at how our VMI programs can help you. When your employees need a part, vendor managed inventory allows you to be confident that that part is stocked and ready. Our program allows you to take a hands-free approach: we maintain the stock levels for you. This allows you to focus on what’s important: making products. Tracking small parts – nuts, bolts, screws, and other fasteners – can be tricky. By leaving the counting to us, you get a more accurate picture of in-stock components but, even better, you eliminate the need to task employees with counting – and maintaining – your inventory levels. Committed to delivering the highest-quality parts available, we don’t just maintain your inventory, we improve it. With zero tolerance for nonconforming parts, you can be confident that the parts that you receive are the parts that you need. At ASF Components, our goal is to help our customers run faster, more profitable operations. If you’ve been searching for a provider of VMI services, we encourage you to reach out to us today to discuss how we can help.